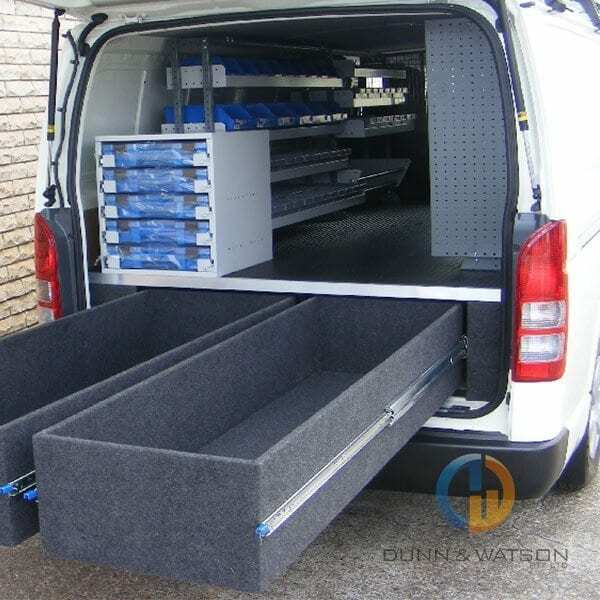 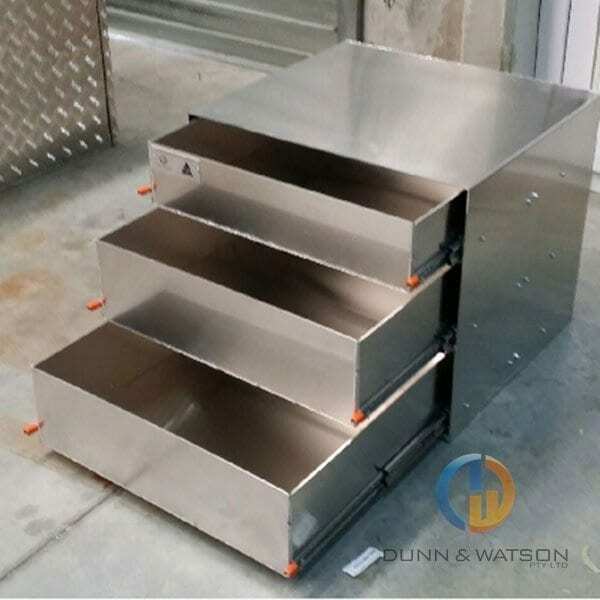 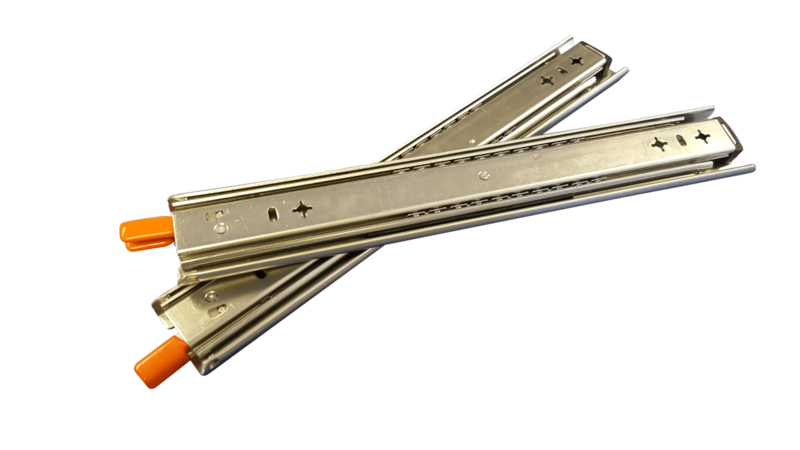 Medium duty locking drawer slides with a maximum load capacity of 125kg’s. 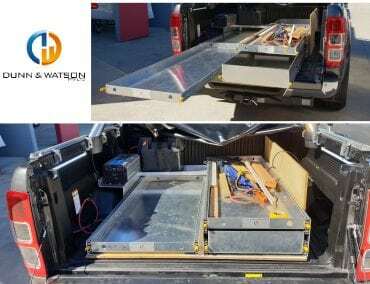 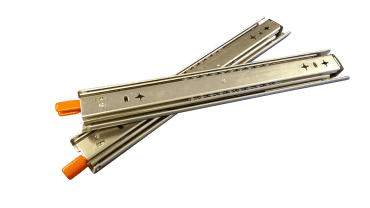 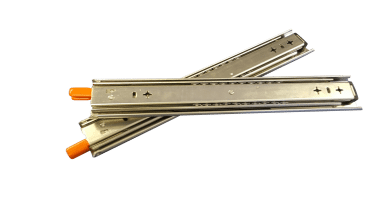 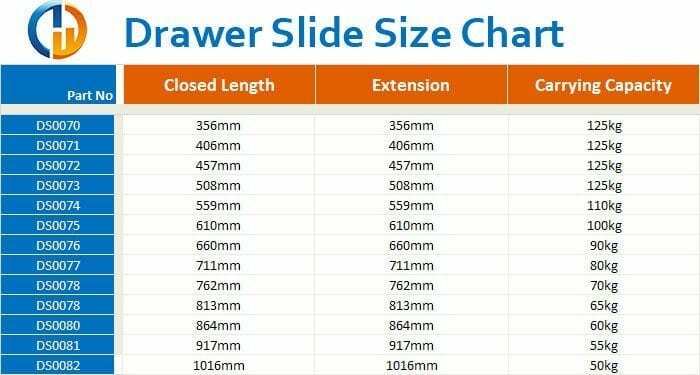 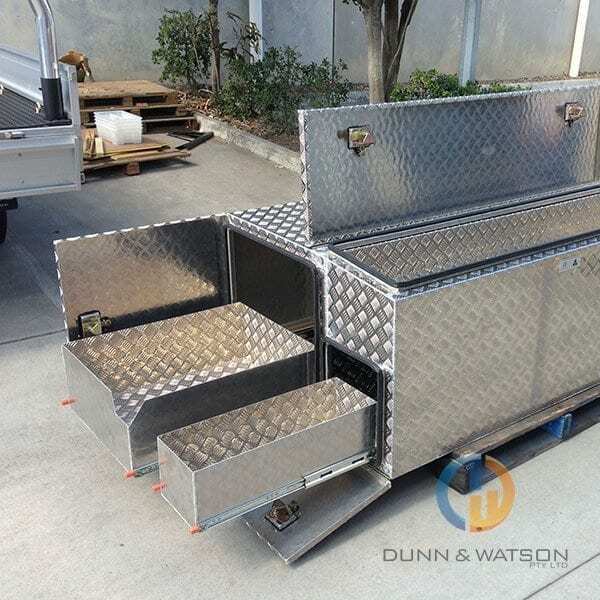 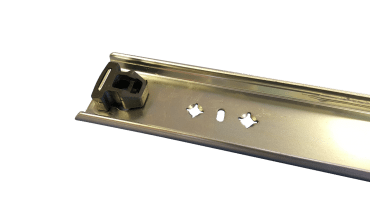 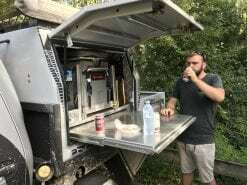 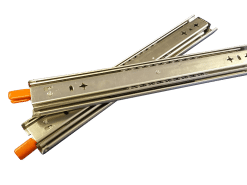 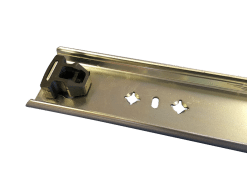 These drawer slides are heavily used in Australia’s toolbox, caravan and camper trailer markets for pull out drawers and fridge slide slides. 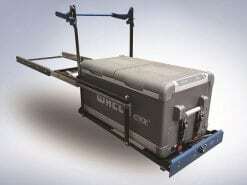 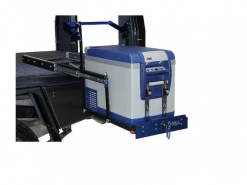 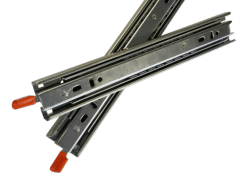 They have full extension and a disconnect feature making them ideal for a large range of install applications. 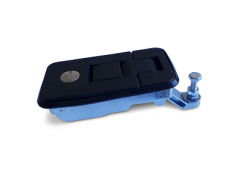 Medium duty 125kg Locking Drawer Slides with lock in and lock out feature. 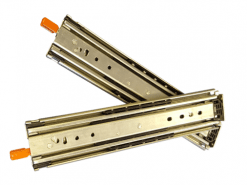 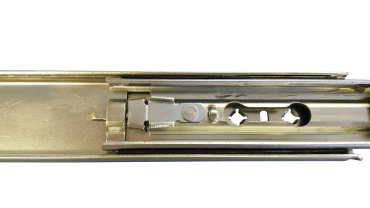 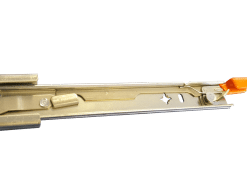 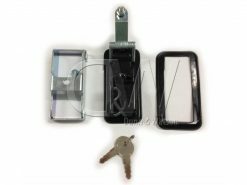 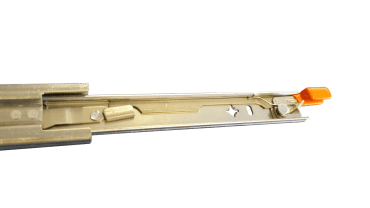 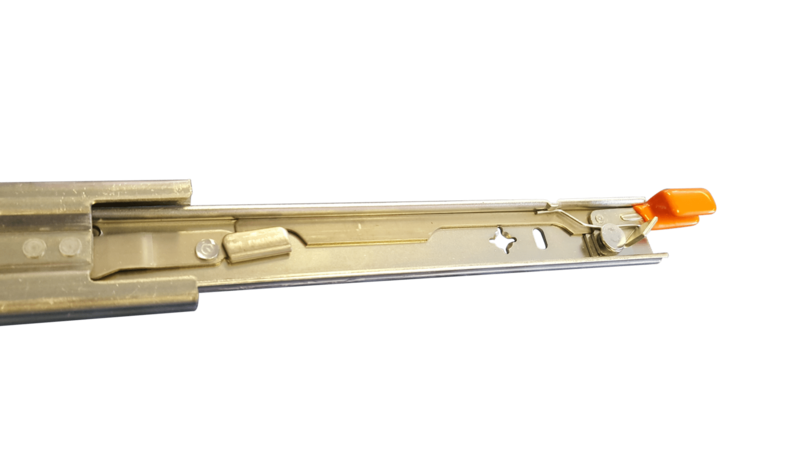 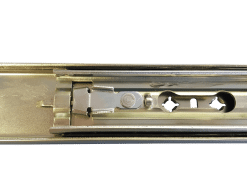 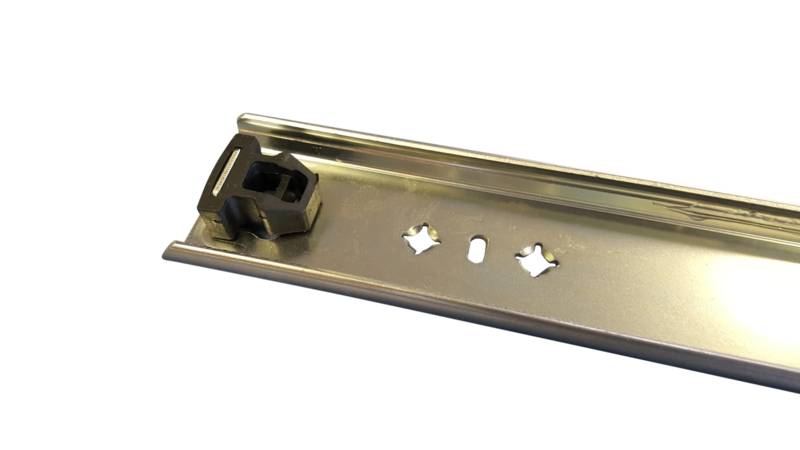 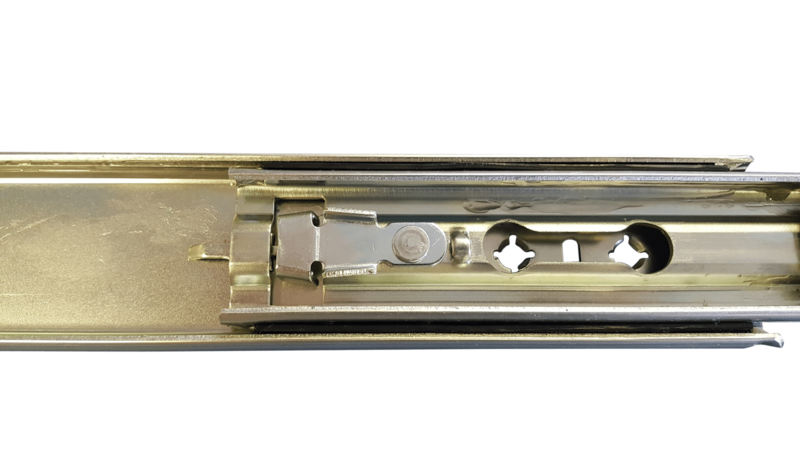 These locking drawer slides are very popular in the manufacture of fridge slides and vehicle cargo drawers. 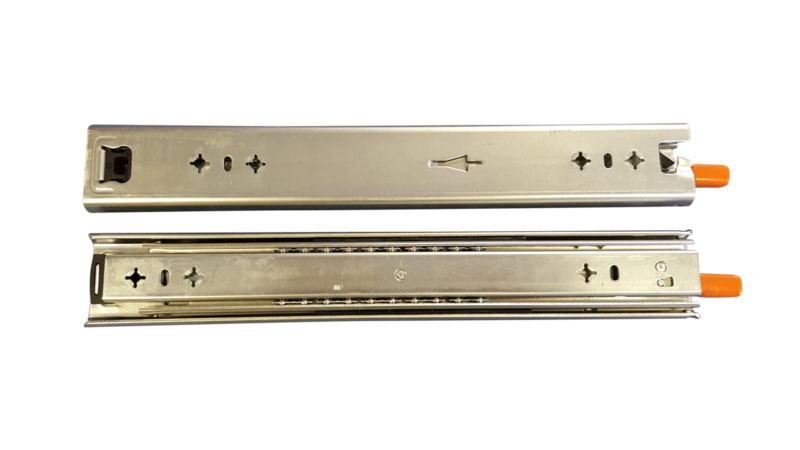 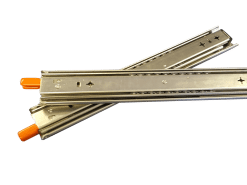 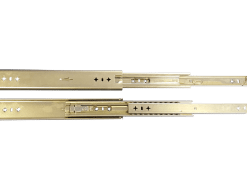 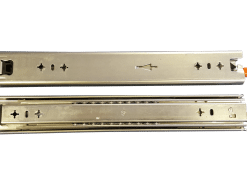 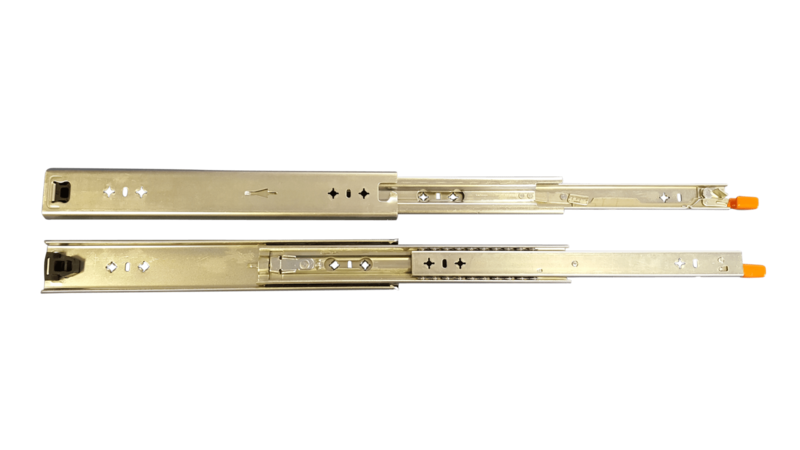 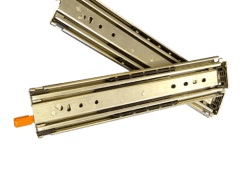 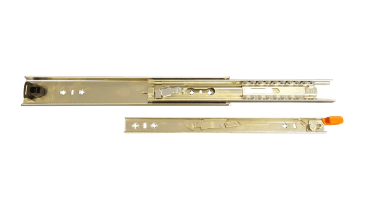 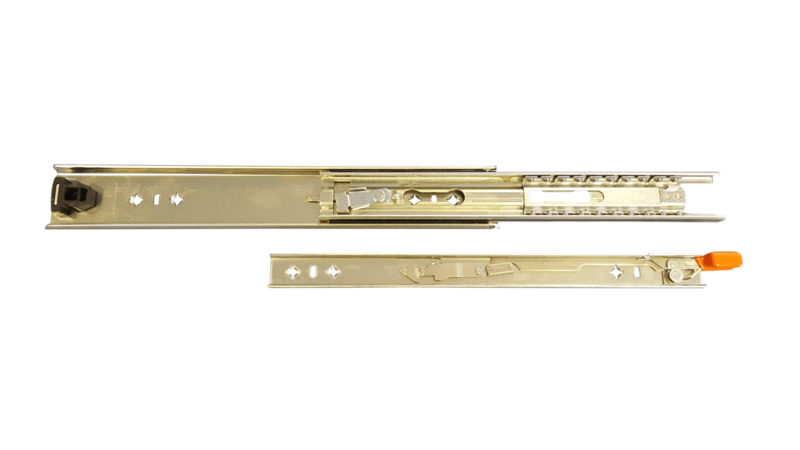 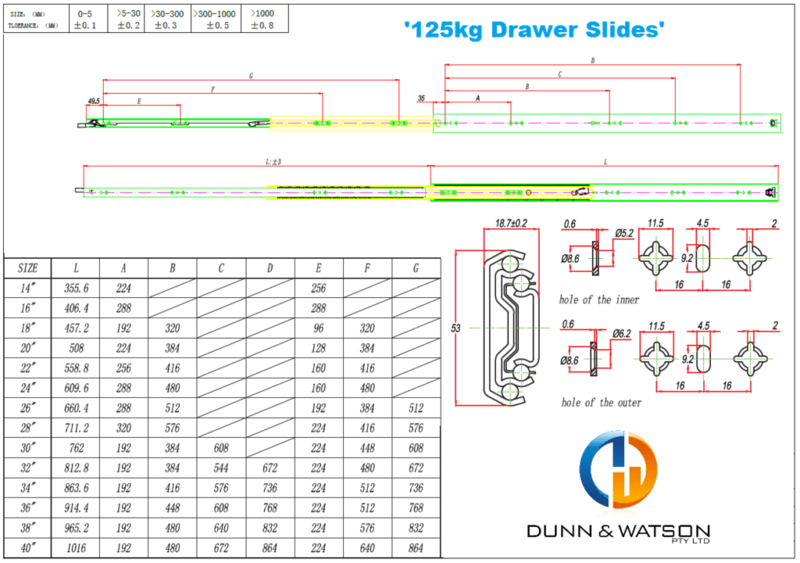 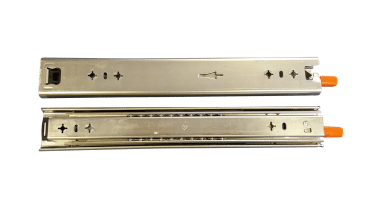 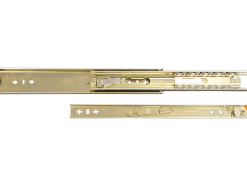 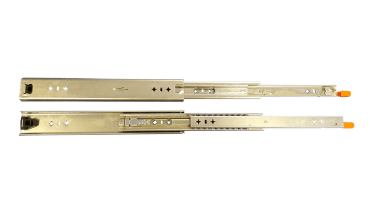 Drawer slides are available in lengths 356mm to 1016mm.